Expires: Jan 01, 2020 Get This Deal! Plan now to experience the grandeur of a World Cruise with the cruise line voted World’s Best more than any other in history! Complimentary evening specialty restaurant dining at least once in Silk Road or the Sushi Bar and at least once in Prego. Additional Specialty Restaurant dining reservations are complimentary for full World Cruise guests, on a space available basis. Fares listed are cruise only, per person in U.S. dollars, based on double occupancy and do not include taxes, fees and port charges which vary by departure. 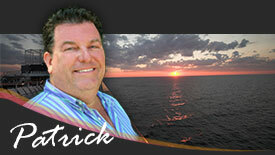 Featured fares include all promotional savings. Optional Personal Select Air program and Solo Traveler Fares are available upon request. Ask for details. All offers may not be combinable with other promotions, apply to first two full-fare guests in stateroom or suite, are capacity-controlled, subject to availability, and may be withdrawn or changed at any time without notice. will be cleared at Crystal’s discretion. basis). Additional reservations including "walk-in" visits are subject to a $30 per person fee, subject to availability. ** Free, unlimited Wi-Fi/Internet access is available to all guests Restrictions apply. 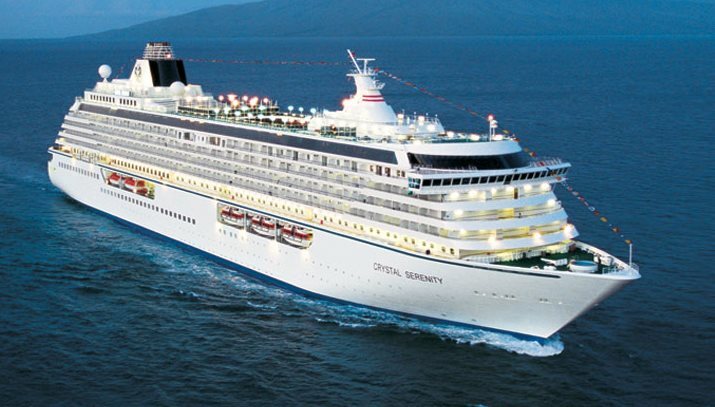 For Cruise Fare and Promotional Information Crystal Cruises reserves the right to correct errors or omissions and to change any and all fares, fees, promotions and programs at any time with or without notice.